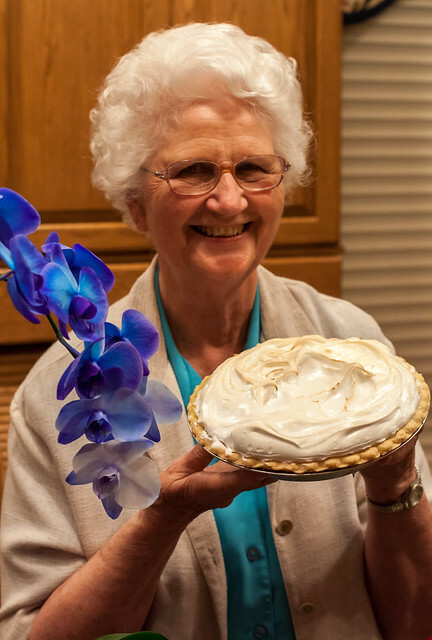 Sunday was Grandma’s birthday, a busy and fun day with family, topped off with a cool slice of lemon meringue pie. Happy birthday, Grandma Curry! This entry was posted in Food & Drink, People by Joe Curry. Bookmark the permalink. Ok. 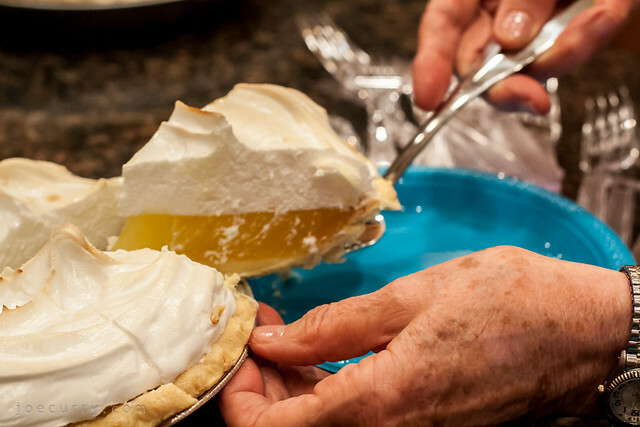 I want a slice of that pie right now! I’m trying to watch my sugar intake but I don’t know if I could resist if I had that pie next to me.